Energy Brands, also doing business as Glacéau, is a privately owned subsidiary of The Coca-Cola Company based in Whitestone, New York City that manufactures and distributes various lines of enhanced water. Founded in May 1996 by J. Darius Bikoff with an electrolyte enhanced line of water called Smartwater, Energy Brands initially distributed its products to health food stores and independent retailers in the New York area. 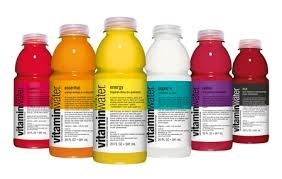 Adding Fruitwater and Vitaminwater to its line in 1998 and 2000, respectively, the company expanded to nationwide distribution in the early 2000s.